Jonen Midlands are an independent freight forwarder servicing manufacturers and importers based in the UK. Founded in 1979, we have built a reputation for cost effective, reliable services. 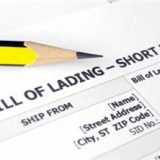 Whether the movement is by sea, air or road Jonen Shipping staff will be on hand to select the most appropriate routing to satisfy both the shipper’s and consignee’s need. 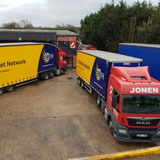 Jonen currently operate 12 vehicles from their depot in Thurmaston Leicester ranging from 3.5t vans to 13.6m articulated 44t curtained sided lorries. Via our membership of TPN, we are able to offer overnight delivery to the whole of the UK. Jonen are able to provide a full export packing and case making service to both industrial and personal customers alike. 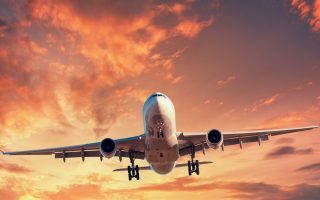 Export packing of dangerous goods, whether being shipped by sea, road or air, can be arranged to conform with international freight regulations. ISPM15 heat treated softwood packing is available. We also have container loading / unloading facilities and secure racked and unracked storage available at our site in Thurmaston, north east Leicester. In the age of just in time ordering and high bank charges, the importance of producing accurate intenational documentation first time, cannot be stressed highly enough. When utilising Jonen you know that the documentation headache has been taken away and you are able to concentrate on the more productive functions within your organisations.